Without the Renegade fashion designers featured in this Series – those who saw the contemporary landscape of fashion and refused to comply – fashion would have stagnated years ago. Renegades, no matter their talent, perspective, or cause, are those who refuse to be content with the confines of the box society deems appropriate for all. Renegades are the dreamers, the rebels, the auteurs, without whom culture could have never flourished. Outside of fashion these are the men and women who protested on behalf of millions of oppressed people; created the concepts of democracy; revolutionised the world through scientific discoveries that placed them directly in the line of fire but persevered for the betterment of human kind. There is undoubtedly danger in the act of being a renegade – to stray from the settled herd in search of new and uncertain ideals – but when they are capable of engaging with the wider public they can inspire society to new awakenings to which there is no return. Renegades shape the course of human history, regardless of their chosen field – and fashion is no exception to the rule. The designers in this Series are the ones who chose to ignore industry conventions. Our Renegades held a singular vision and refused to yield to anyone who told them different – and in standing their ground they revolutionised the fashion industry in their own way, winning the admiration of millions of people around the world and inspiring dozens of future designers down the line. 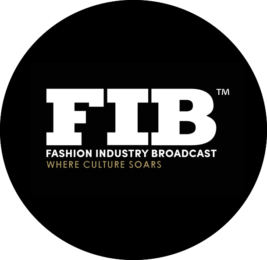 Subscribe to FIB’s newsletter for your weekly dose of music, fashion and pop culture news!